Cynthia Lin was born in Taiwan and grew up near Chicago, Illinois. She received her B.A from the University of California and her M.F.A from the University of Iowa. Her drawings are large, enclosed depictions of scars, skin, and dust. The graphite drawings scrutinize the notions of the “factual, leading to reconsideration of privacy, identity, gender, race, beauty, and mortality.” Compared to her drawings of dust, which encourages the viewer to look and discover the multiple contradictory perceptions. 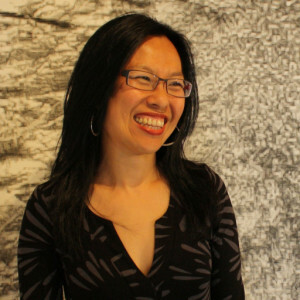 Lin currently lives in New York, NY and works in Buschwick/Queens.